Last week we introduced you to the Pemberton Classic home, which our team staged and styled. We toured some of the main spaces and this week we have even more photos to share including some of the bedrooms, playroom, study, and back patio. 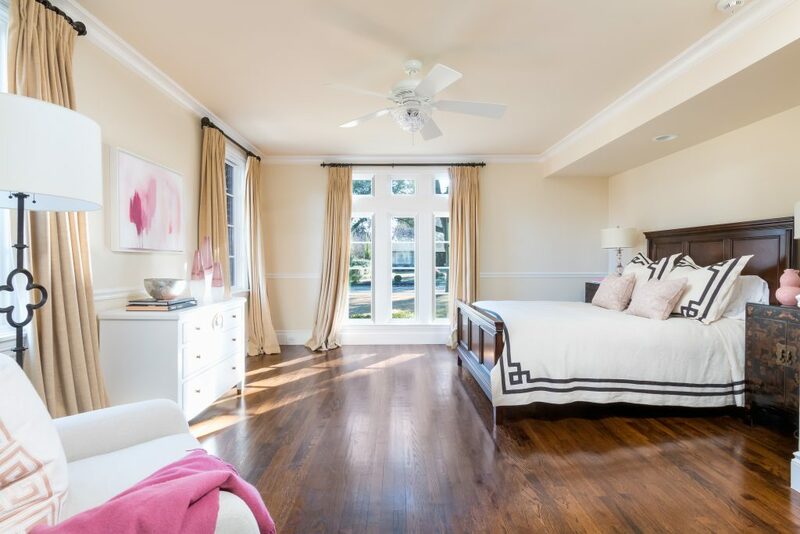 The master bedroom is staged to be a serene and tranquil oasis. Neutral bedding, crystal lamps, and a beaded chandelier help soften the space. 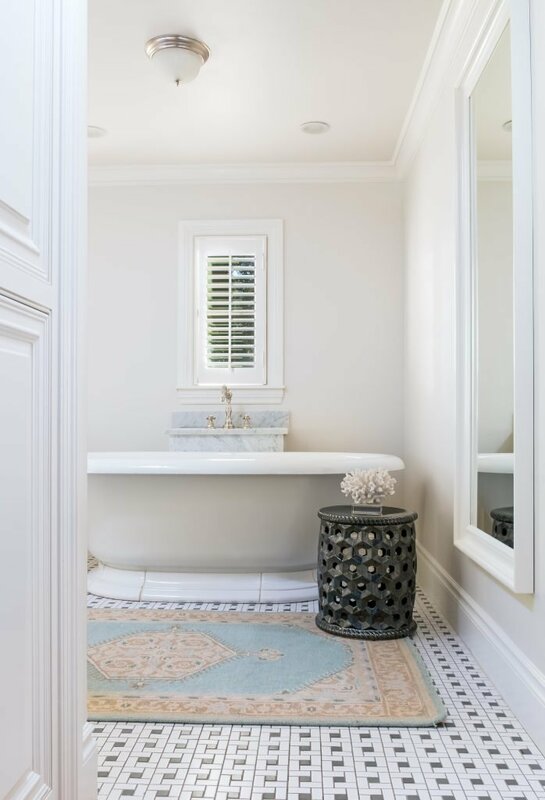 An accent rug with a delicate color and a garden stool helps the master bathroom feel inviting, interesting, and appealing to buyers. We brought in an original piece by Mallory Page from Wally Workman Gallery with different shades of pink. That art piece served as the color inspiration for the space. We kept the bedding neutral with a black tape. Then, brought pink into other accents like vases, pillows and throws. 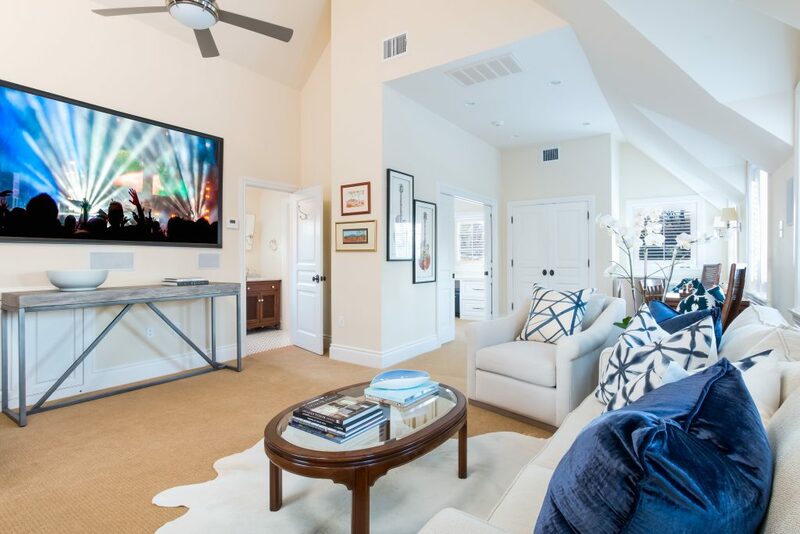 The upstairs loft area is large, open and could serve many purposes (playroom, media room, homework spot). We placed comfortable neutral seating with deep blue pillow accents. The upstairs space has beige carpet, but a white hide rug helps the space feel bright, transitional, and new. The study has bold wood trimwork and detailing. The furniture and accents we brought in had to have the same masculine drama. 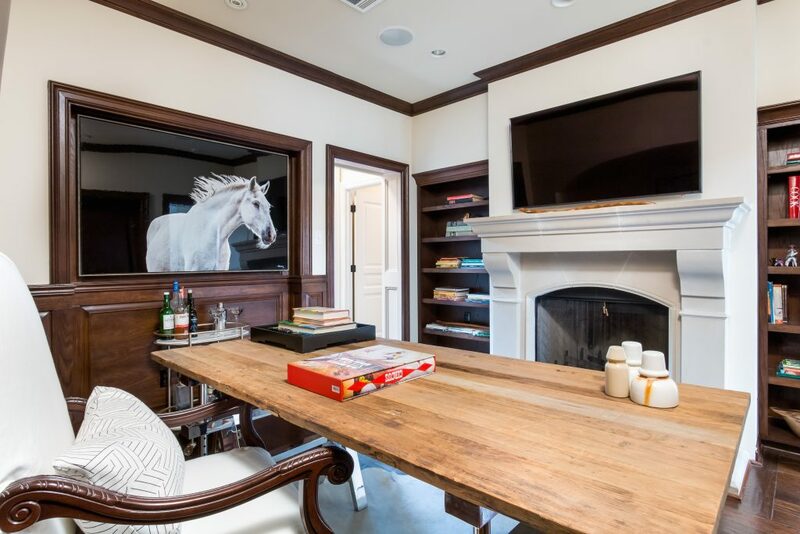 Our favorite elements are the bold industrial style desk and horse photography. 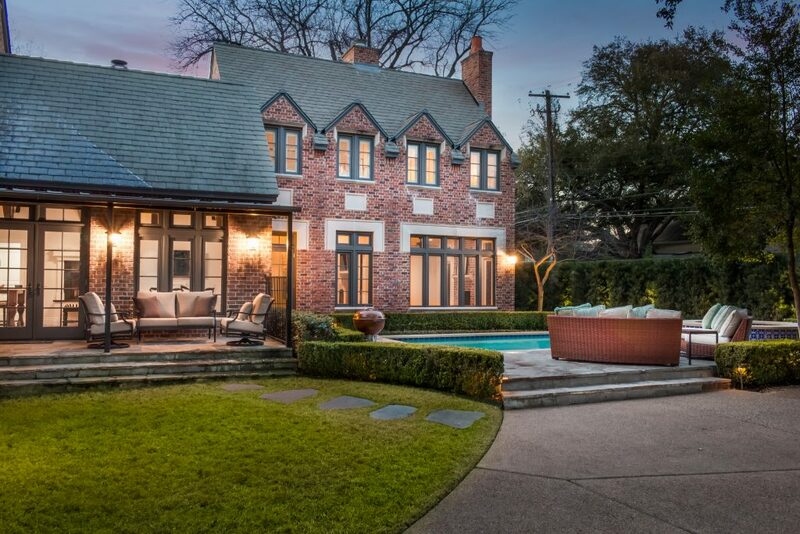 We styled the back patio with curved settees to help make the pool and patio space feel finished. Who wouldn’t want to summer in a space like this? 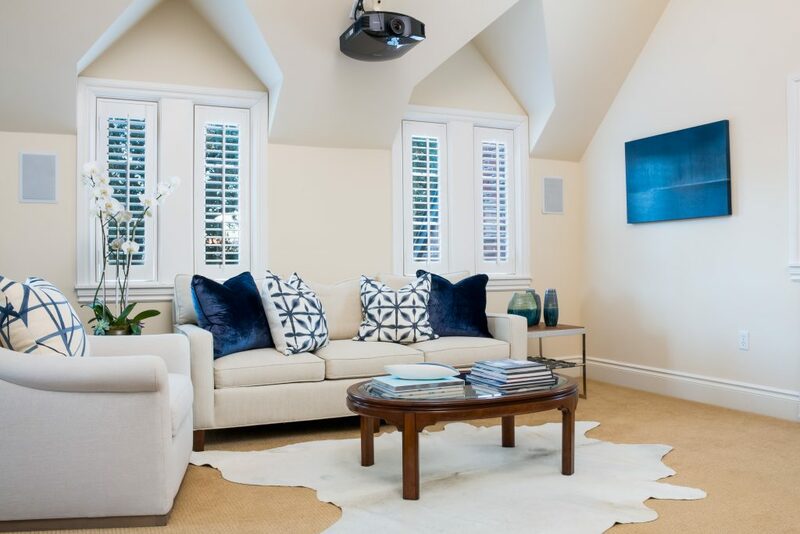 Staging and styling your home to sell can make a huge financial difference. 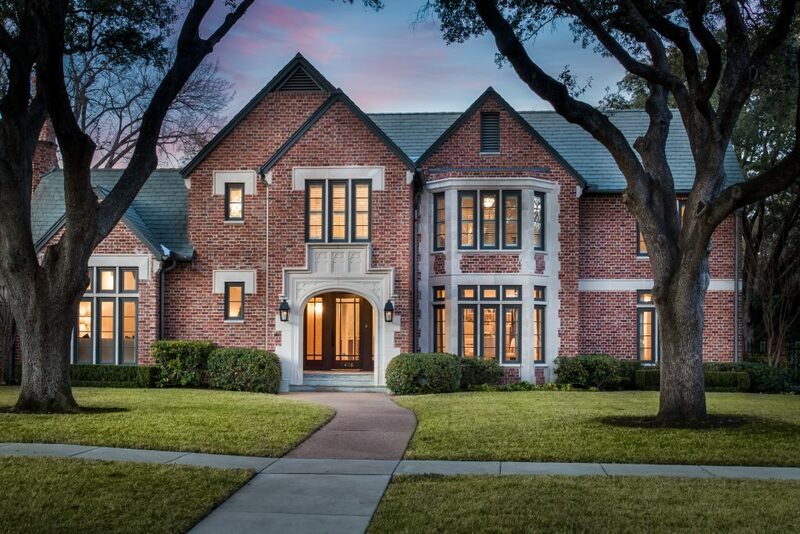 Classic and timeless choices helped highlight the endless list of features of this Central Austin estate. 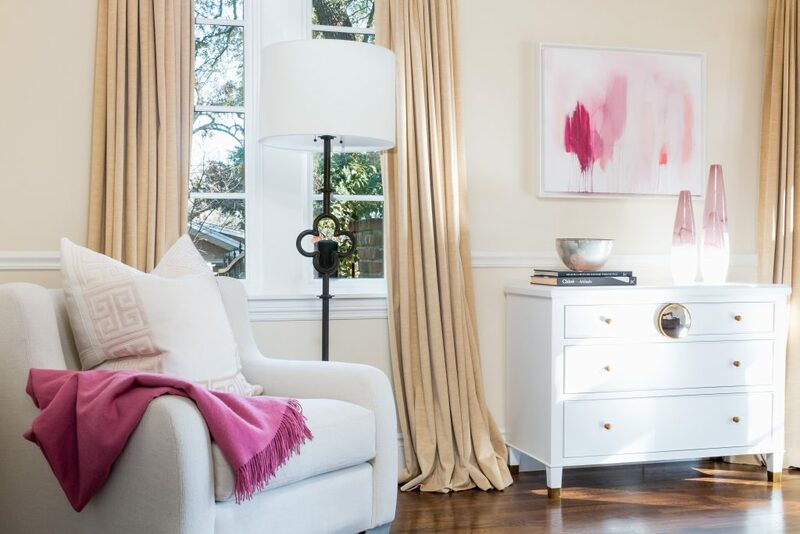 If you are in the process of selling or staging a home, remember to eliminate distractions and clutter so that you can highlight your home’s best features. If the task seems too daunting, hire a professional!